Ernst Lubitsch’s divine To Be Or Not To Be (1942), which is arguably the greatest American comedy of the talking era alongside Dr. Strangelove (1964), opens with a sequence in which Adolf Hitler wanders the busy streets of pre-war Warsaw for apparently no reason. We are immediately taken into a flashback that purports to explain the faux-historical scene we just witnessed only to, eventually, reveal it as a piece of fiction – a provocative performance art – within the film. 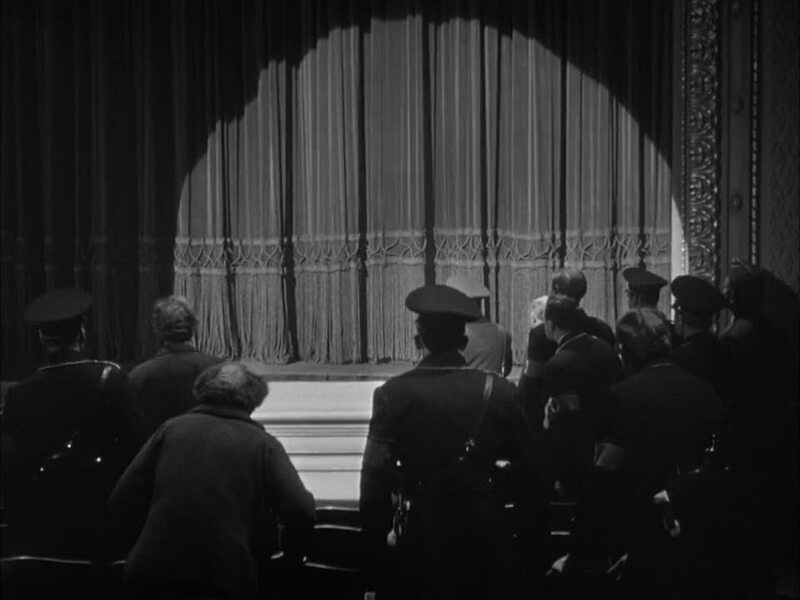 In fact, in Lubitsch’s movie, which is the most direct precursor to Inglourious Basterds (2009), History itself unfolds as theatre, with characters impersonating other characters, with Nazis playing Nazis, with timing, blocking, make-up and diction becoming questions of life and death; politics becomes theatrical and theatre becomes political. The funniest line in the film is perhaps also the most trenchant: “What he did to Shakespeare, we are now doing to Poland”. For these aesthetes of war, Warsaw becomes a theatrical space to be controlled, its inhabitants, actors to be directed and history, a grand narrative to be shaped. On the other hand, for the Polish acting troupe, the stage becomes the most politicized space, with even the most harmless subversion stamped out. In a disturbing way, History haunts Lubitsch’s film as farce, before unfurling as a tragedy a few years later. Like in Dr. Strangelove, History had not yet happened to separate comedy from horror. Now that it has, it has ensured that To Be Or Not To Be is not cheap propaganda but biting satire. Hysterical and terrifying from start to end, Lubitsch’s film is a coup de grâce from the greatest weapon that the Allies possessed: Hollywood.